Swedish film director Johanna Bernhardson awarded on Family Film Festival in Baku. As a first-time participant, Sweden submitted no less than five entries to the 2015 Family Film Festival organized by the State Committee for Family, Women and Children. The award ceremony took place in Mugam Center on 6 November in the presence of dignitaries and media representatives. The majority of the films were made by Azerbaijani directors. Five other countries participated. The presence of Swedish entries in this 7th edition of the Festival was appreciated. 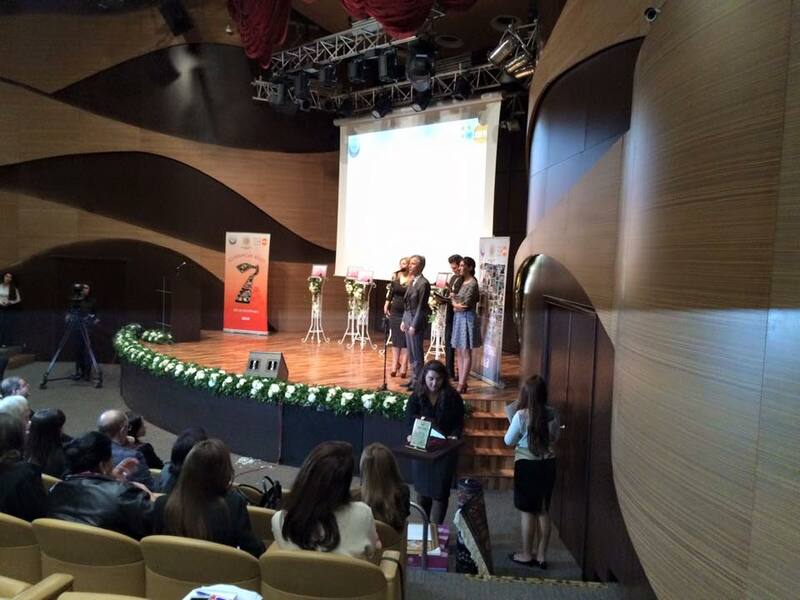 Chargé d’Affaires Tomas Danestad received the award on behalf of Ms Bernhardson who was not able to come to Baku. He remarked that the jury and organizers deserve credit for not side-stepping difficult topics in family relations when awarding the films. Indeed, one of the two awarded entries of Johanna Bernhardson addresses the (globally) sensitive issue of mothers who leave their family and children. The film presents the issue in a non-argumentative yet evocative way and poses a number of questions for the viewer. For instance, why does our global society condemn mothers who leave their children so much harder than fathers who do the same … and in considerably greater numbers? One take-away from the Festival is that we humans can understand family issues across physical and cultural borders. In Ms Bernhardson’s own words (and our translation): “Sometimes it seems like a story told in the most personal way has the best chances to be understood on a universal level.” With these words in mind we believe this Family Festival in Baku has a future and an important role to play. Hats off to the organizers! Detta inlägg postades i Filmer den 7 november, 2015 av Johanna.